That was the inspiration that I got for my project. How to make this happen on my card? Well, I thought that if I used vellum, that would work and, so I went to a stamp set called Flower Favorites and used the flower and die from that. It is a lupine. I also used a die cover from PTI, but I cut it into parts as that I could used the card horizontally. I just love the variation in color that I got by overlapping the vellum that I colored with copic markers. Here is a closer look at the flowers and the variation of color. There is so much texture on the card that I simply added a HELLO die, cut three times and I did an ombre shading to it as well. Here is another look at the texture from another angle. Thanks for dropping by and I do appreciate your thoughts and comments. 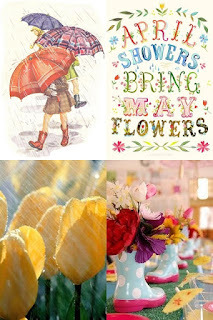 April Showers ...... What comes next? Today's card was made because I saw one made by Mika. Her blog is Here. I loved it so much, I wanted to create it too. It happens to fit the challenge at DD this week, so I am entering it there. I like how the umbrella in Mika's card was bigger. She drew that one herself, so I had to try to draw mine. I think I got the idea, but I could have been bigger. I like her clouds too. I used my lawn Fawn Spring Showers die for the clouds and the rain drops. The elephant is MFT Adorable Elephant. Watercolor from Kuretake for the background. 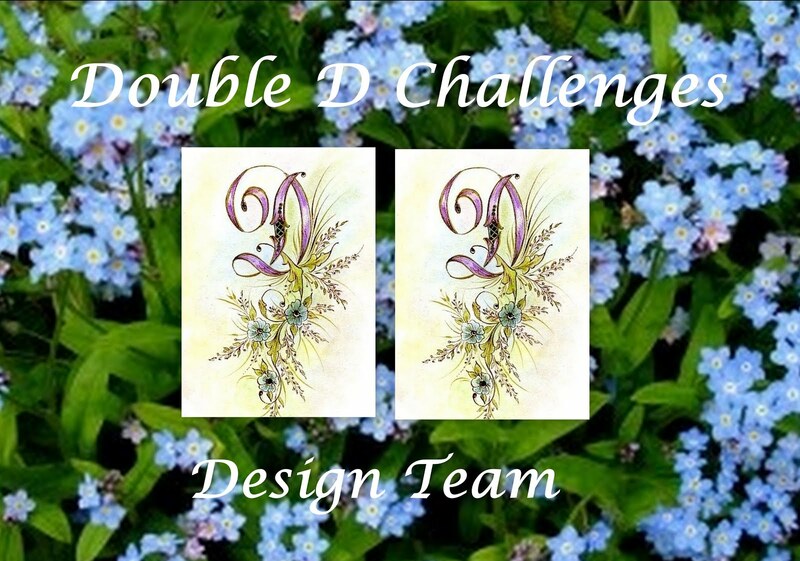 I will enter this card in the challenge at Double D this week. Thanks for stopping by and I do, as always,appreciated your comments. Enjoy! This technique is going to be very useful to make your stamping look like you had scripted it yourself. For this challenge, I simply made a tag, as we often need one to put on a bottle of wine that we would bring to a friend's house. Nice to have them on hand and I really like how this turned out and it was pretty quick. I used my never before used ( NBUS) stamp set and matching die from Papertrey Ink called Uncorked. For the tag, I used a die from Pretty Pink Posh and made it longer. Die cut the bottle from silver foil paper and stamped over with StazOn Black ink. The word Cheer is stamped with Limeade and then I used Stormy Sea, both PTI, to make the shading. This is a smaller stamp and so I used a round #1 brush. Finished with a twine and lime green ribbon. That is it. Clean and simple, and ready to be put on a wine bottle. Here is a close up of the word that I faux brushed. I think I will be doing this more often. Thanks again for stopping in and I do appreciate that you do and the comments that you leave. There are no toppings for this challenge. 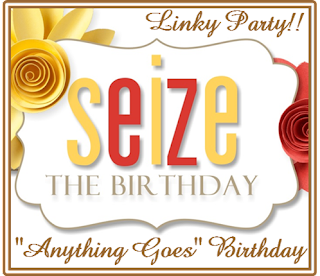 As always, the only real requirement for playing along is to have a birthday theme. All the details for playing along and the rest of the gorgeous design team creations are on the blog. I needed a Birthday card for my husband who has an April Birthday. I have trouble with masculine cards so I got inspiration from Pinterest. Ribbon from my stash and splatters for blue watercolor. Altenew has a challenge from places abroad, and I new I had to enter as this challenge is Thailand. I was fortunate to have visited Bangkok, seven years ago and remember it well. What an experience, one that I would not have imagined if our daughter and family were not living there. There is so much color and gold and everything shines. I when back to look at some of my pictures from our visit there. This is the reclining Buddha. Well, enough reminiscing, I want to show you my card that was inspired by this challenge and my visit to Thailand. I was inspired by the colors of the inspiration photo. To make this card here is what I used. 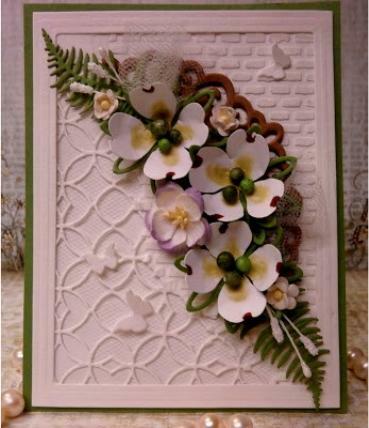 Card stock from Gina K Designs, Ocean Mist, Black Onyx and White. Frozen Glitter on the blue ornaments. Altenew stamp Painted butterflies and Wink of Stella on them. Simon Says die for the Hello. This card really shines, and I had fun making it. I hope that you will join in the fun. Thanks for your your comments as always I do appreciate them. PaperTrey Ink is having a release, and as we are viewing the ideas and the creations that the team has done, we are encouraged to play. This challenge allows you to select something that the amazing team has created during the release that inspired you, and create your own version. 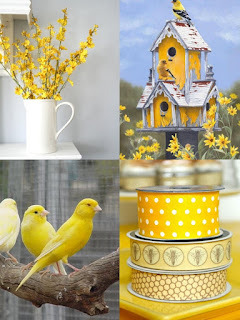 I was inspired by Melissa Phillips and this inspiration photo. Distress markers, Platinum EP and a die called Distress Windham Collage by Memory Box. Thanks so very much for stopping by and the comments that you care to leave. Power Poppy Only Three Markers. 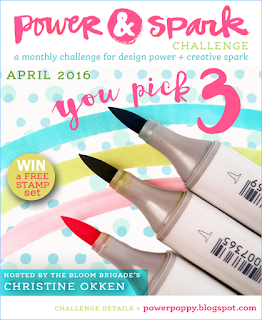 Christine Okken has really given us a challenge this month. We are to create something wonderful with only 3 markers. That's right, just three markers. If you stop and take a breath, you realize it is not so bad. With Copic markers, you just have to lay down more layers to make the shades that will work for you. I also had the help of some dies from Spellbinder, Floral Ovals and Poppy Stamps die, Distress Windham Collage. The rest is just White card stock and vellum colored with R32. Ribbon colored with the R32 and pearls from my stash. They are appreciated and I love them. We have show showers to day, and it is cold. Lol, That's why we have snow showers. Sometimes it is coming down so hard, that you can hardly see the house next door. Lucky nothing has collected on the ground or we would be out shoveling the stuff. What a great day to make a sunny yellow card. Double D has the right challenge for this day. Here is my inspired card from this photo. By masking off the birdhouse, I was able to put in more than one. I used copic makers to color them and the bird. I have used this stamp before and it is easy to change that bird to a cardinal or bluebird, but in this case, I wanted him to look like the bird in the photo. I love how he looks. The daises may look more like sunflowers, but still sunny and bright. Here is a close up of the bird. Thanks so much for your comments, I do as always appreciate them. 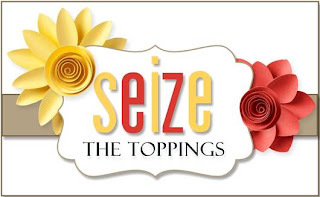 This week's Seize the Birthday challenge topping is flowers. Hello everyone. Just wanted you to know about the challenge that is starting today with prizes. Take a look at what Kathy and I have done for examples and join in the fun. It has been awhile since I have made a card and done a post. I found that when I was away from crafting for awhile, ( 19 days) I got a little rusty. I have made three cards and this is the first one that was even close to Challenge worthy. The others will be used, but not my best. I started out watching Make it Monday #245 with Ashley to see what she was doing. She called her challenge Color Isolation, quite interesting as I had not heard of that before. It actually is quite easy once you get an idea. I'm getting right to it. I stamped the small butterfly and flowers with antique linen, but added some interest in one area. The butterfly under the greeting is stamped twice. First with New Canvas and then with Antique Linen. I wish I had continued doing that with the rest of the card. Maybe next time. I am also entering this card in these challenges. Thanks so very much for stopping in to say a few words, I do appreciate them. 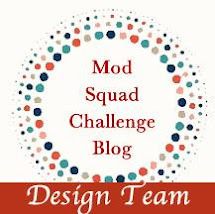 Stay tuned as tomorrow starts a new Challenge over at the Mod Squad Challenge. Kathy and I have some more fun for you and prizes too. 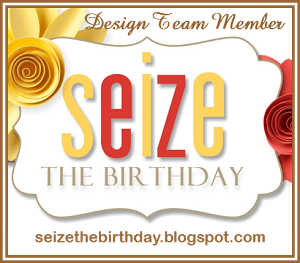 And.... Thursday starts a new Challenge at Seize the Birthday. That's my new Gig.